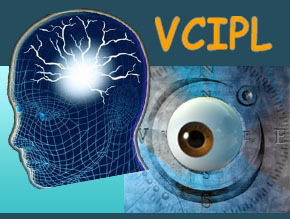 Face recognition is emerging as an active research topic in the areas of pattern recognition and computer vision research. It is a challenging topic because natural face images are formed by the interaction of multiple factors related to the imaging condition, scene structure and human status, which broaden the variety of facial geometries, illumination, expressions and head poses etc. In this work, we are interested in developing a compact, data-driven and general face representation for multi-view face recognition. It was shown that the 3D face model is capable of describing the 3D characteristics of human faces and results in promising m ulti-view face recognition results. In the case when the 3D face model is not available and only face images of multiple views are given, 2D appearance/view modeling is needed. 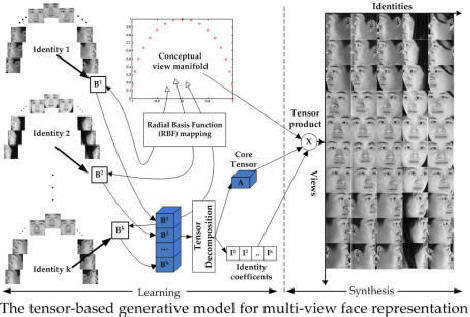 We propose a multi-view face representation via non-linear tensor decomposition that supports robust face recognition under unknown views and outperforms traditional linear approaches, such as TensorFace and view-based PCA.